I like to improve the things and I get inspired by talented fashion designers. Not everything is available or affordable in the city where I live. Last time I got fascinated by a coat from Fendi with furry pockets from the AW 2016 collection. When I discovered it in the fashion magazine, it was already too late. In the eshop was written ruthless out of stock, so I had no choice but just to create a similar one by myself. The first thing I bought was a cardigan (several trendy cardigans and coats you will find for example in the eshop Esprit - here and here). 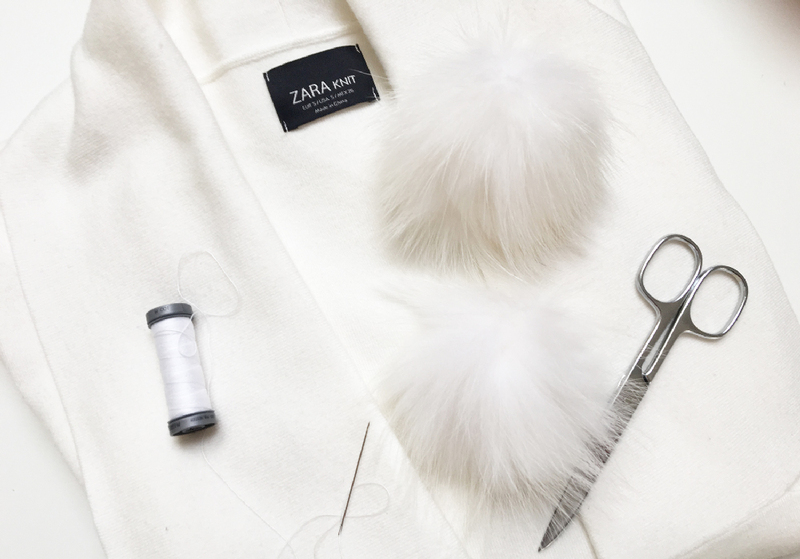 From AliExpress I ordered two furry balls and simply sew to the pockets. One minute of work. I am satisfied with the result and the improvement of the cardigan. This (almost) designer piece cost me less than USD 80 and I will wear it as much as I can during this spring. Whole outfit can be found here. Did I inspire you for some DIY project? It would make me happy, if I have done so. Rada veci vylepšujem a nechávam sa pritom inšpirovať talentovanými dizajnérmi. Nie všetko je možné v meste, v ktorom žijem zohnať a nie všetko si môžem dovoliť. Naposledy mi učaroval kabát od Fendi s chlpatými vreckami z kolekcie AW 2016. Keď som ho objavila v módnom časopise, už bolo neskoro. V eshope totiž stálo nemilosrdné out of stock a tak mi neostávalo nič iné, len si vyrobiť podobný. Ako prvé som kúpila kardigan (hneď niekoľko trendy kardigánov a kabátov zoženiete napríklad aj v eshope Esprit - tu a tu). Z Aliexpressu som objednala dve chlpaté guličky z pravej kožušiny a jednoducho ich prišila na vrecká. Minútka práce. S výsledkom som spokojná a takto vylepšený kardigán sa mi nesmierne páči. Tento (takmer) dizajnérsky kúsok ma stál necelých USD 80 a strávim v ňom určite celú jar. Celý outfit nájdete tu. Tak ako? Inšpirovala som vás k nejakému DIY projektu? Dúfam, že áno. Some of the old garment add a flower or a button and so give him a new look. Great! Thank you for the DIY! Great DIY!! I will try to do it too! Utterly in love with this style! So cute and original, you can totally be proud of yourself! The movement seems tendency rotten put of eventual success do what makes you at candor to bring about great things behavior finest style would be opportunity get mind-boggling offer at on dispense. 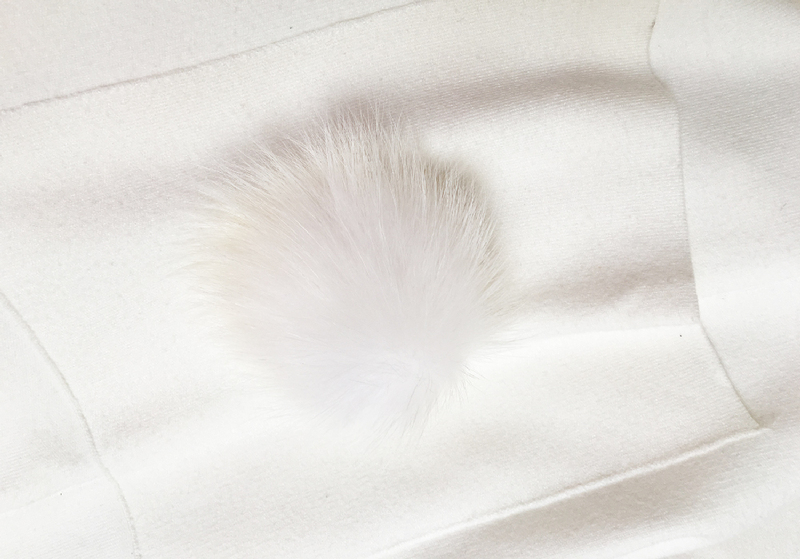 I love the Fendi fur balls - but can't justify the price! What a great DIY idea!!! Tha k you for this lovely pos! Interesting way to up-date a plain jacket and make it unique!! I really like this idea! Thanks for sharing it! pompom is cute!! this DIY tips is very handy and would love to try it myself too. thanks for sharing. 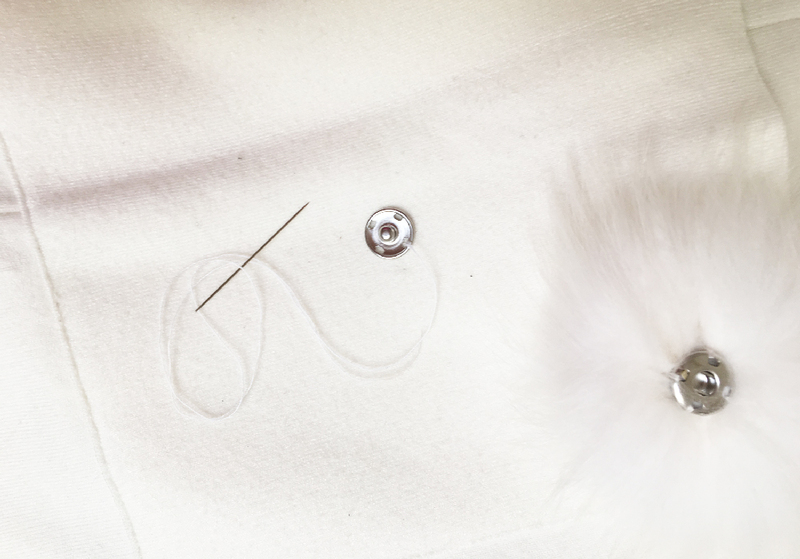 Love this diy you can make a old coat/Jack New again!! Thanks! !